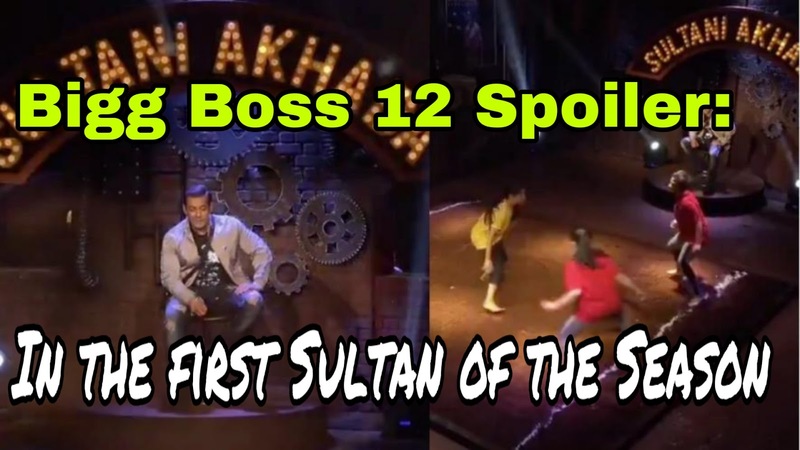 Colors' Popular reality show 'Big Boss 12' is going to be the first Sultani arena of this season on Sunday ie, this night. Like the previous season, this season also Salman Khan Khan invites the Don Contestants of Big Boss House to fight against each other in Sultani Akhara on Sunday. Contestants have to compete with each other in this arena and whoever wins in this match becomes the real sultan of the week. This time too, against Salman Saba and Somai Khan's duo, Deepika Kakkar and Srishti Road couple will call themselves in the Sultani Akhara to show their self. Now it has to be seen who wins by the Celebrity Voices Communications pair. You also see this video tonight. The tweet of "The Khabri"
In 'Bigg Boss Season 12', Varun Dhawan will be seen promoting his forthcoming film 'Sui Thaaga' with Salman Khan. Varun Dhawan will also go inside the 'Big Boss' house and will have fun with the family members. On this occasion, Varun will also give a special task to all the household members of Big Boss House. Varun will give the needle thread challenge to Salman Khan while promoting his film. Salman Khan and Varun Dhawan will be seen doing a lot of fun during this time. Salman will not only fulfill Varun's Needle Thread Challenge, but also write SK on the cloth. After this, Varun, appealing Salman, would appeal to India's girls, saying that Salman Khan, who comes from sewing and embroidery, does not get a perfect girl, such an elite Bachelor. It is a shame. It is being told that during the show Varun Dhawan will give Salman Khan Made in India Jacket as a gift. Colors has shared a promo on its social handles which is becoming increasingly viral. See also Varun and Salman's fun video. The Official tweet of "colourstv"